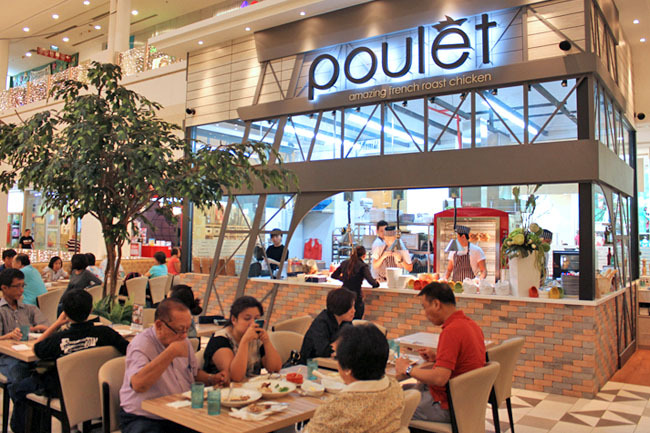 It is not surprisingly that Poulet’s second branch came fast and furious, at Great World City which has much support from the expatriates and the upper-middle class. This news is hot from the oven. (I went for the chicken so fast their PR Chantel said the press release was still in her computer.) Poulet just launched a new chicken flavour, right in time for the Christmas festive meals though it is likely to be here to stay. 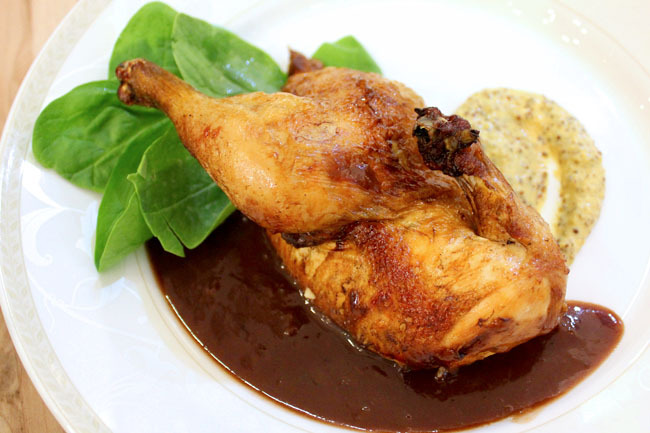 Roast chicken with cranberry sauce and double pommery and Dijon mustard, simply called Poulet de Cranberry ($17.80 for half, $30.80 for whole). The luscious cranberry sauce works pretty well with the fragrantly roasted chicken too, somewhat jam-mish in texture which gives it a sweetish-sour-delightful lift. Can just so feel Christmas coming. I love my chicken with sauce, sauce, and more sauce. So the original Poulet Roti ($15.80 for half) with the creamy white mushroom chardonnay sauce works better for me. I must say though, that the sauce used to be a lot more generous, and now barely enough to cover my golden brown poultry. 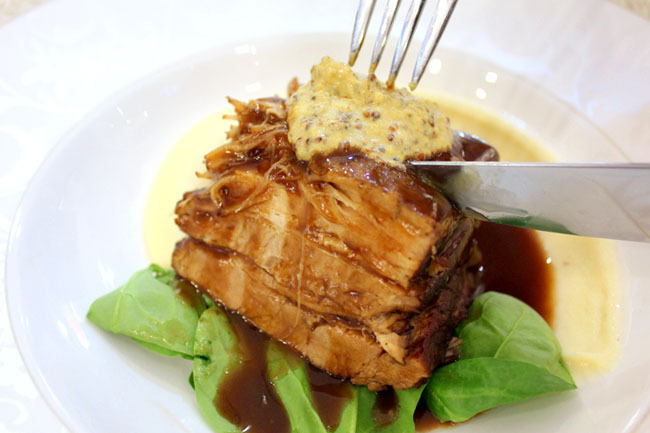 The Iberico Pork Belly ($15.80) was disappointing though, especially when a friend remarked how “the meat would fall off easily”. The version I had felt wrinkled and dry, too tough to be bitten off, and I had to leave it half untouched. I am sure it had seen better days. There were some surprise finds though, in the starter dish of Sauté Wild Mushroom ($7.80). Seriously? 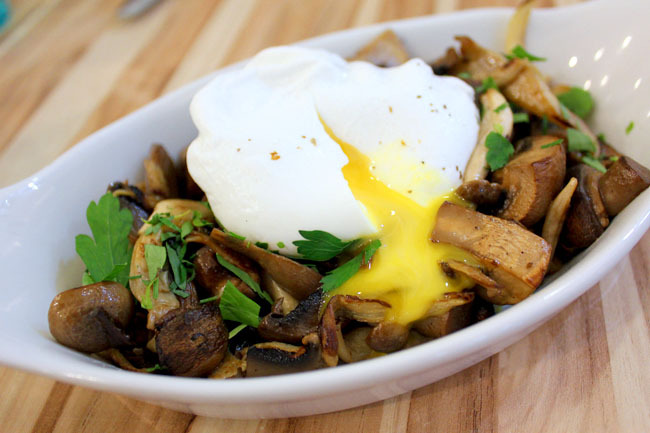 Shimeiji mushrooms with oozing poached egg – just give it to me! 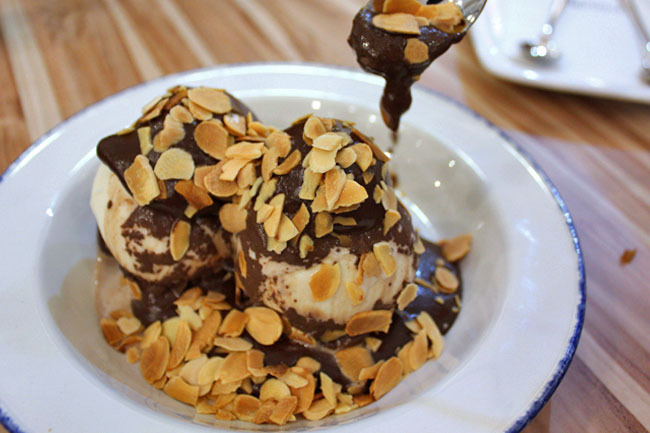 I would normally go for the Tiramisu ($7.80), but the Profiteroles ($7.80) of choux puffs with vanilla ice cream, almond flakes and waaaaaarm chocolate sauce was the dessert winner in every way on a cool rainy night. So do you like Poulet’s chicken? 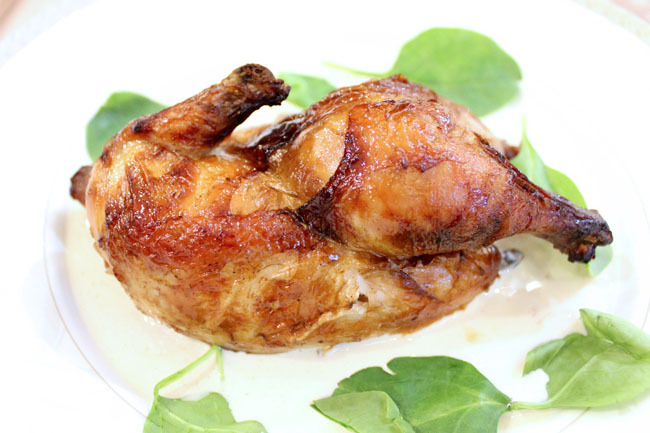 Where do you think serves the best rotisserie chicken in Singapore?